Direct Fair Trade: Azure is dedicated to supporting indigenous communities in Mexico. To this end, it pays its producers a fair price for pinole, insuring that the local price of blue corn remains stable. Our ultimate aim is to buy all our final products from these communities. Transparency: At Azure, we believe that fighting inequality both in Mexico and within its team are central. To this end, profits are shared equitably amongst employees. Taste: Azure will not sell a product that doesn’t make your taste buds tingle. We will always listen to our customers’ needs and wants, and endeavour to get the tastiest products out there. No compromise: We will not compromise in regard to the health of our products, their taste and their impact on the environment. Ever. Learning: Azure is only one solution to a very complicated problem. Despite all our best intentions, we know we will make mistakes. We promise that we will do our very best to learn from them.  To keep Azure growing, the company is dedicated to continuously evolve so that it can meet the needs of both its producers and its consumers alike. Response: We believe that feedback is the single greatest power of any company. We will do our best to answer your questions, comments or critiques.